Salman Khan will be seen in ‘Tubelight’ this year. Jodhpur: Bollywood actor Salman Khan has been issued a notice by a sessions court on a state government plea against his acquittal in an Arms Act case linked to alleged hunting of chinkaras by him in 1998 here. District and Sessions Judge Bhagwan Das Agarwal issued notice to the actor, seeking his reply to the government’s plea against him by April 21. Public Prosecutor Pokar Ram Bishnoi, who challenged Khan’s acquittal, said the plea has been admitted and the notice issued to Khan. The government has challenged Khan’s acquittal in the Arms Act case involving alleged possession of unlicensed weapon by him for hunting deers in 1998 in Jodhpur. 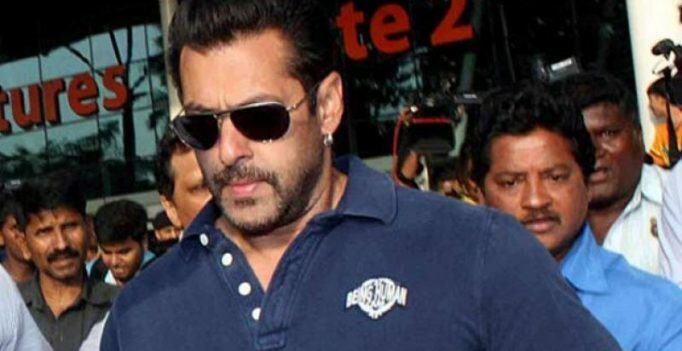 Jodhpur Chief Judicial Magistrate had acquitted Salman in the Arms Act case on January 18 citing technical grounds, saying he had been prosecuted under wrong sections. Bishnoi argued before the sessions judge that the case had been proved against Khan, which was also admitted by the court and that on the basis of the examination of the evidence and witnesses, the prosecution had proved the case. The state government has moved the sessions court against Salman’s acquittal in the Arms Act case barely over a month after the apex court on January 29 issued notice to him on another petition challenging his acquittal by the Rajasthan High Court in the deer hunting case. While the high court had acquitted the actor in July, the state government had moved the apex court against him in October last year. Salman was accused of hunting two chinkaras at Bhawad in Mathania near Jodhpur on September 26, 1998 and another chinkara at Ghoda farms two days later on September 28, when he was in city for shooting of a film.